The Charter Oak Lives On! 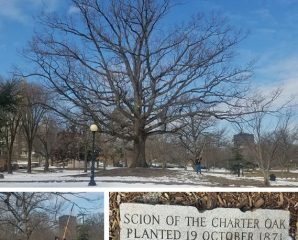 It’s not often we get asked to do something as interesting as graft the clone of the original Charter Oak for the City of Hartford. Chuck, owner and founder of Planters’ Choice is here taking scionwood. We will be grafting these next week and are excited to watch them grow!